Hoot hoot! 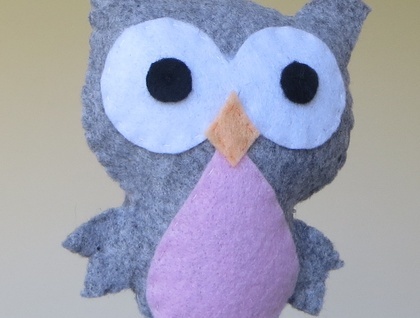 Who doesn't love owls? 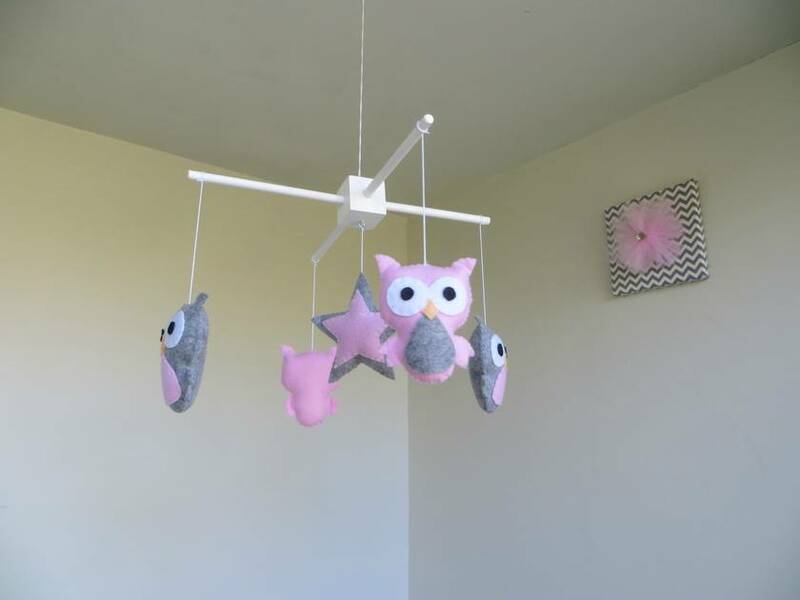 This felt owl mobile is handstitched, stuffed and strung by me. 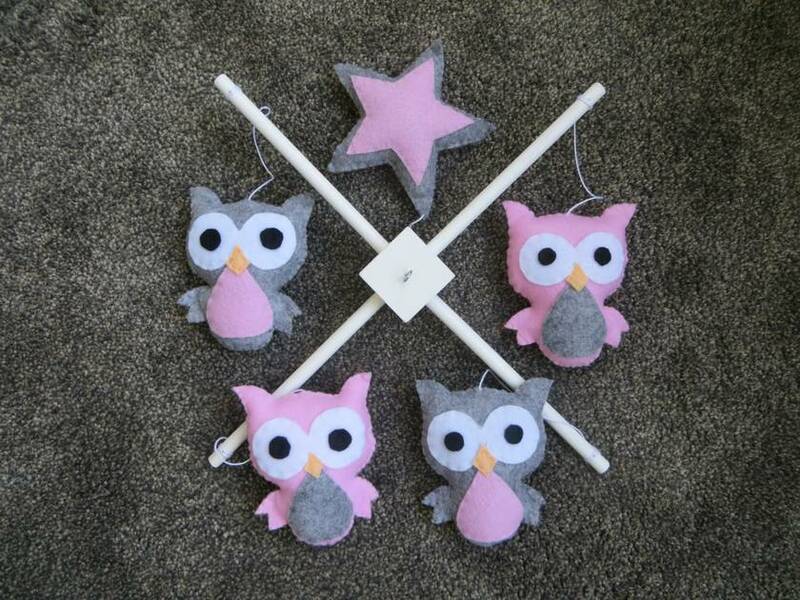 Each owl is made from a lovely wool blend felt which creates a soft look, perfect for a peaceful nursery. The star in the middle also creates a sleepy night time feel. 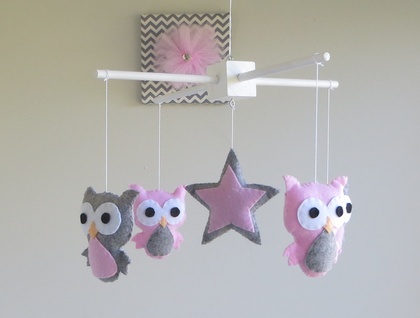 The items are strung with thick cotton and tied to a custom made white hanger. These hangers are hand cut and painted with a semi gloss to add a gentle shine. Please let me know what colours you would like upon purchase. If you do not inform me of colour choice the default (pink and grey) will be made. If you are looking for a very particular colour i.e. aqua blue rather than just blue please contact me to check availability before purchase. All mobiles are made to order meaning no two are ever exactly the same. I am also happy to customise a perfect mobile exactly the way you want it, please contact me to discuss your requirements. Please see my home page for current production times.